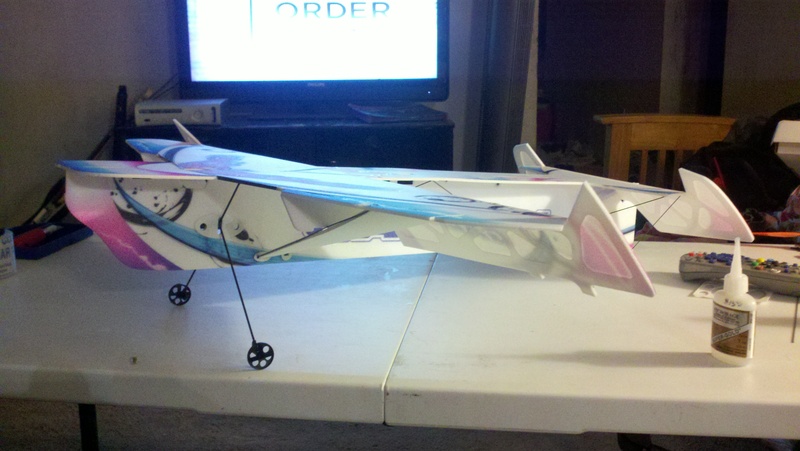 Hey guys, just thought I would share a couple pics of my newest plane. 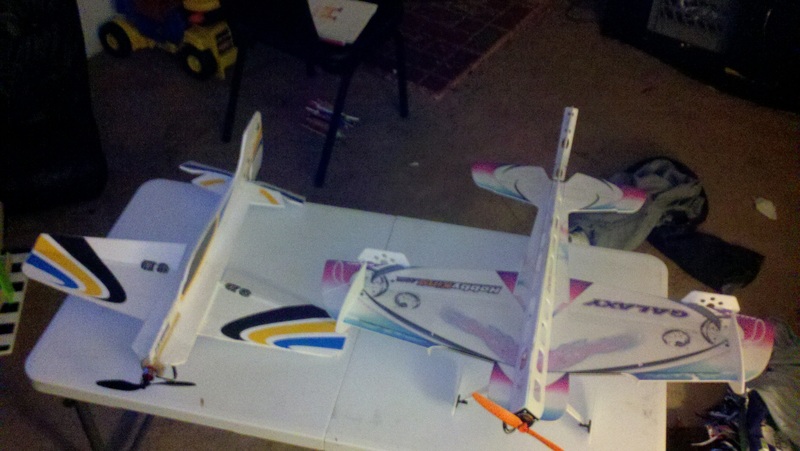 I didn't think to get a lot of mid build pics but I'll definitely get some video next weekend of the maiden flight. 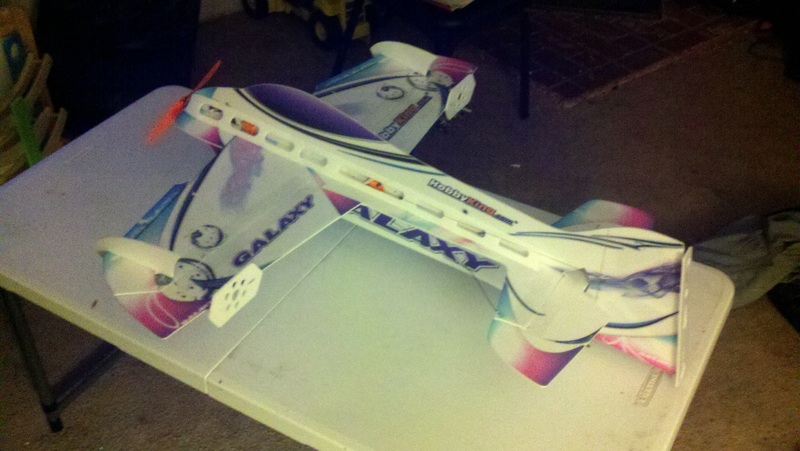 It's a total Hobbyking build. Looking Great! How long have you been flying 3D? I started 3D early on in my flying. I've been flying about 3 years now and I pretty much went for broke right off. 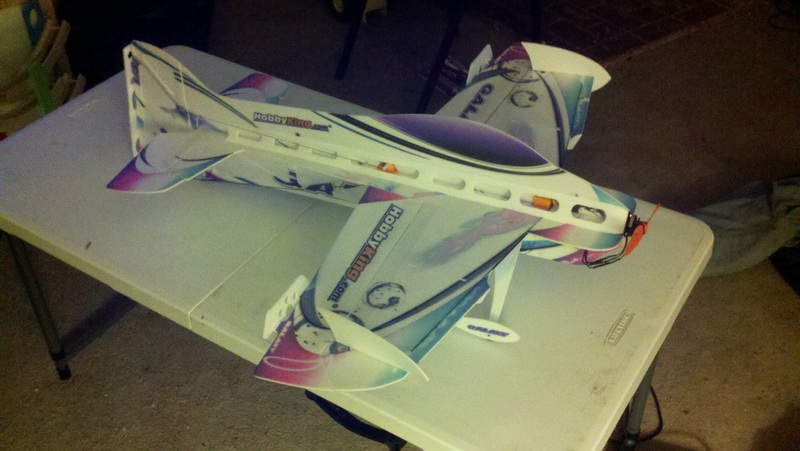 My second plane was the E-flite Ultra Micro 4-Site. I finally killed it about a year ago and I've been flying the heck out of my Hobbyking Hawk but it's not a precise flyer AT ALL. I fly it in the gym but it's so fast and has a high wing loading that you have to hover or be in a high alpha all the time. I can do level flight laps around the gym but it's fast and increases the potential of wiping out one of the smaller planes. 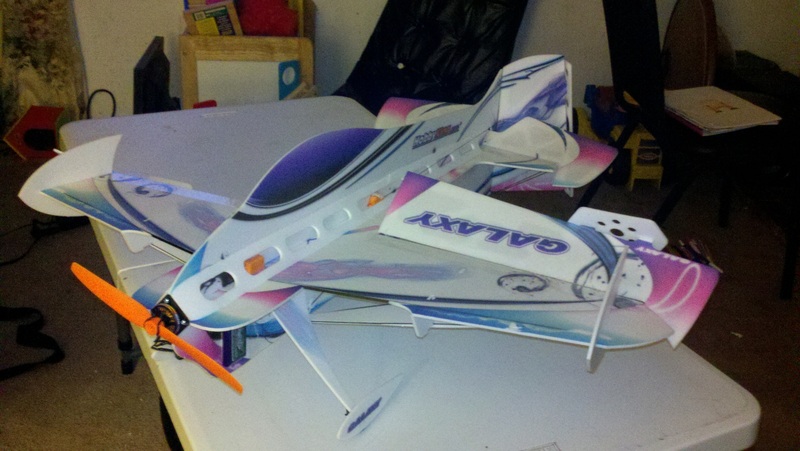 I wasn't really into building a foamie like this but a friend of mine built a Great Planes Extra 300 and it's so much fun I decided I had to have one. I almost bought the Edge 540 version but the Galaxy caught my eye. I've been doing a lot of heli stuff in between that I really enjoy but it's too stressful and expensive to keep learning 3D helis so I needed something more relaxing for indoors. 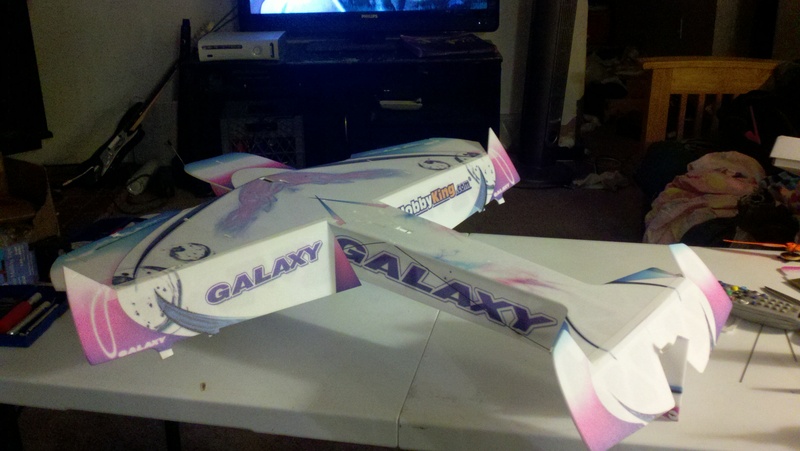 I'm pretty excited about flying it next weekend. I want to get better at flying technical maneuvers. I have another 4-Site on the way too. I just love that plane. Thanks Bonez. It's all printed on the foam, no decals so no extra weight. Nice build AK !!! 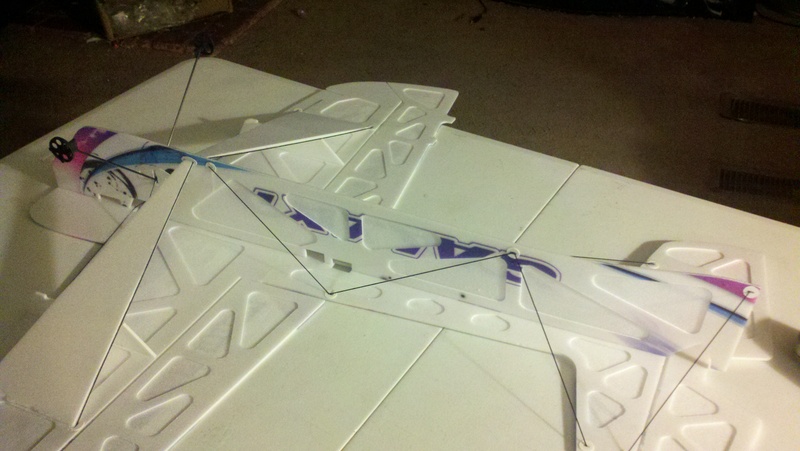 im on the Yak 54 project ! Cool, take lots of pictures. I keep forgetting to stop and take pictures when I get into building something. Here is a Video I shot of the one I build last year!